Who doesn't love colours? What if you get a splash of colours with some great smells at your own home? 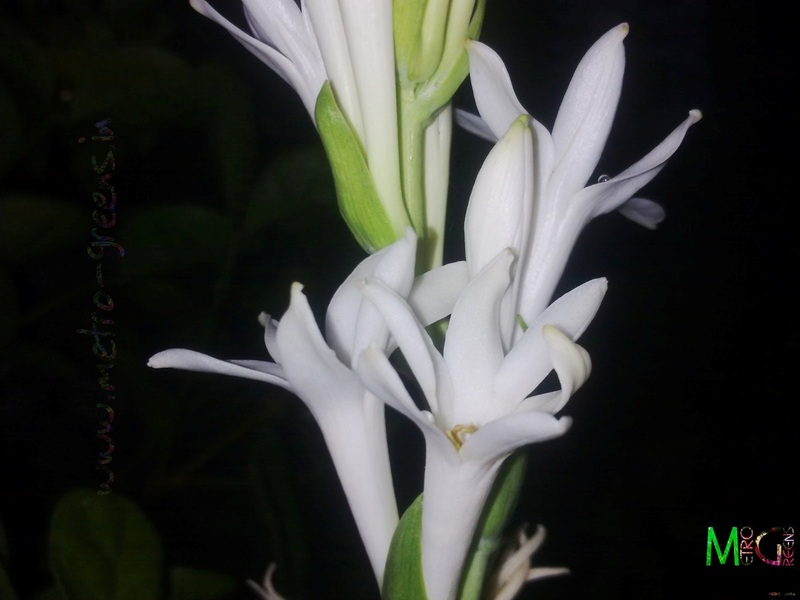 What if you reach the roof of your home and get to smell some great fragrances of some exotic flowers to titillate your senses? Fortunately, I can post some shots of some of my blooms but, unfortunately, I can't post the pleasant fragrance of these blooms that I experience when I reach the roof of my house. Even now, while I'm composing this post, I can smell the pleasant fragrance of the tuberoses that are standing right next to my on the roof. Right now, tuberoses in one of the containers are blooming for about a month and the ones in the other one are just getting ready to bloom, guaranteeing me another month of great fragrance. 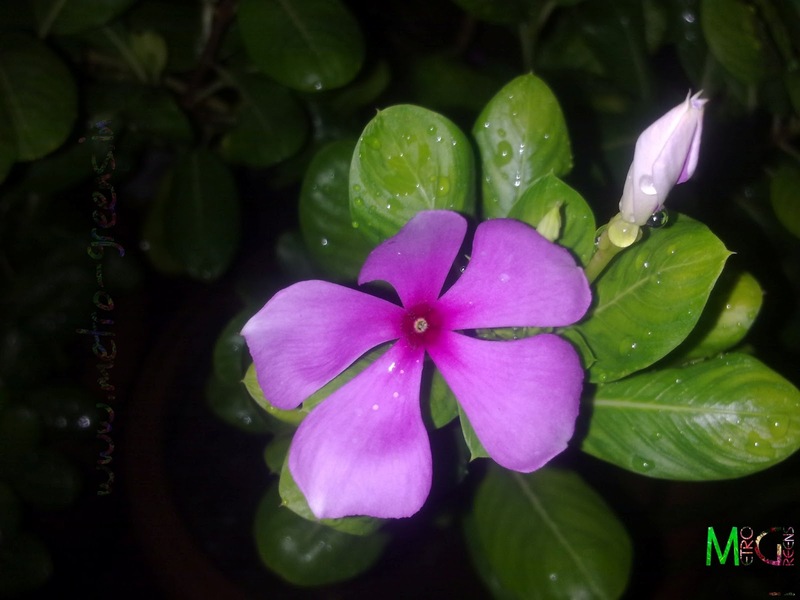 Vincas, as their hindi name goes "sadabahar" i.e. ever blooming, are in blooms almost all throughout the year. These too are blooming giving me another bouquet with pink flowers on dark green foliage. 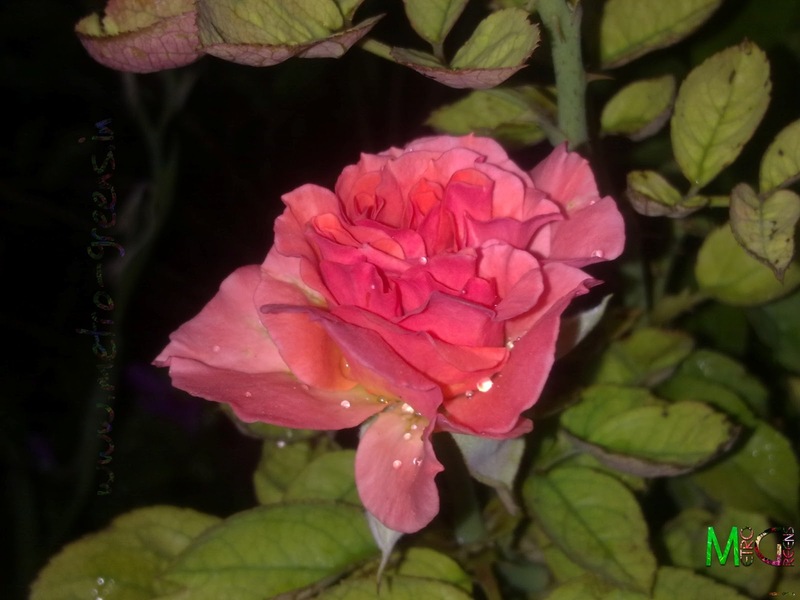 Then are the roses which bloom every now and then. So, today, when I went up on the roof to water my plants, an idea of capturing the flowers in a bouquet sort of arrangement struck me. 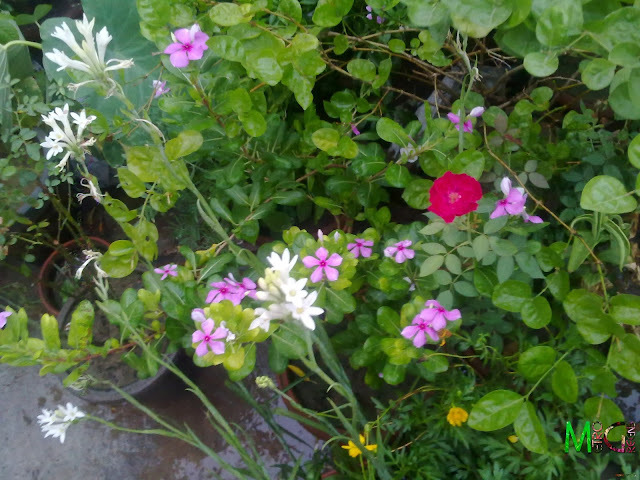 I thought it a good idea and did arranged the pots near each other, made some "arrangements" to bring those blooms in a capturable position, got hold of my cellphone and clicked a few shots. Here are some of those, captured alongwith each other as well as individually. Pink Vinca, a regular feature among my plants. 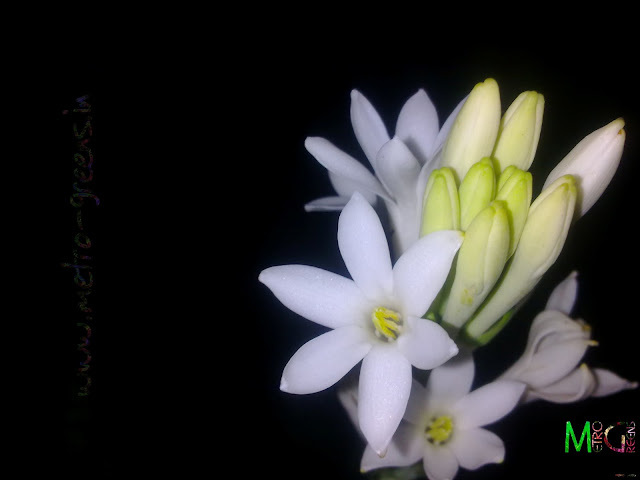 Tuberose, quite oddly blooming since start of June, this year. 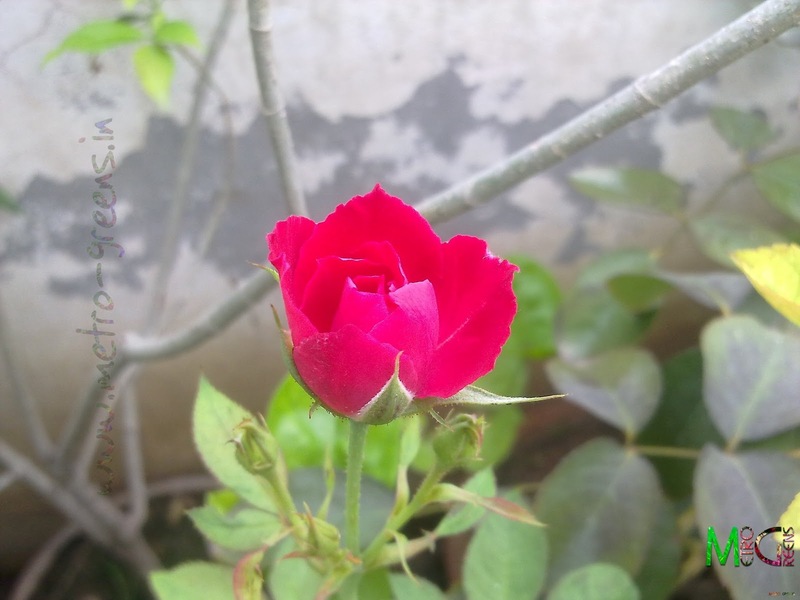 A Red rose bud, I captured today in the morning. The whole "Bouquet" of live plants and blooms. 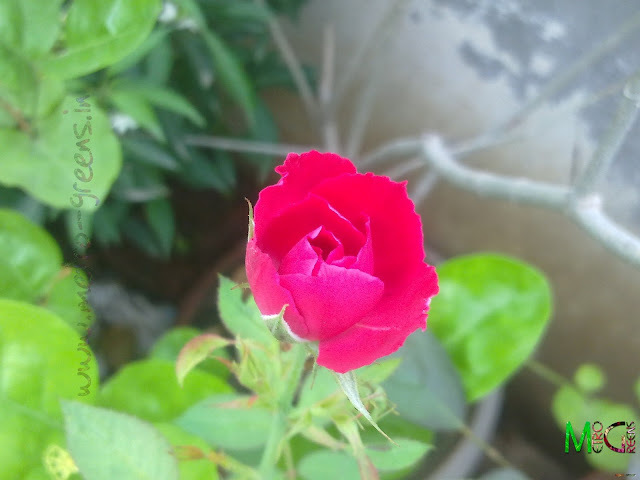 A Red rose bloom I captured today in the morning. 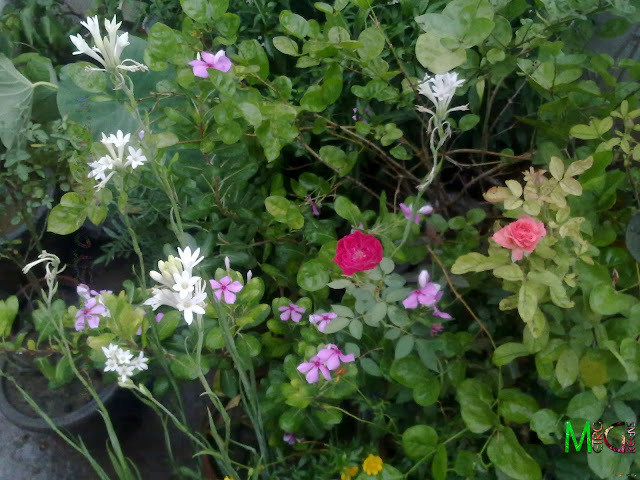 The whole "Bouquet" of live plants and blooms, this time featuring the orange rose bud, which will bloom by tomorrow. The Orange rose bud, about to bloom in its full glory by tomorrow. And this one's my orange cosmos plant. 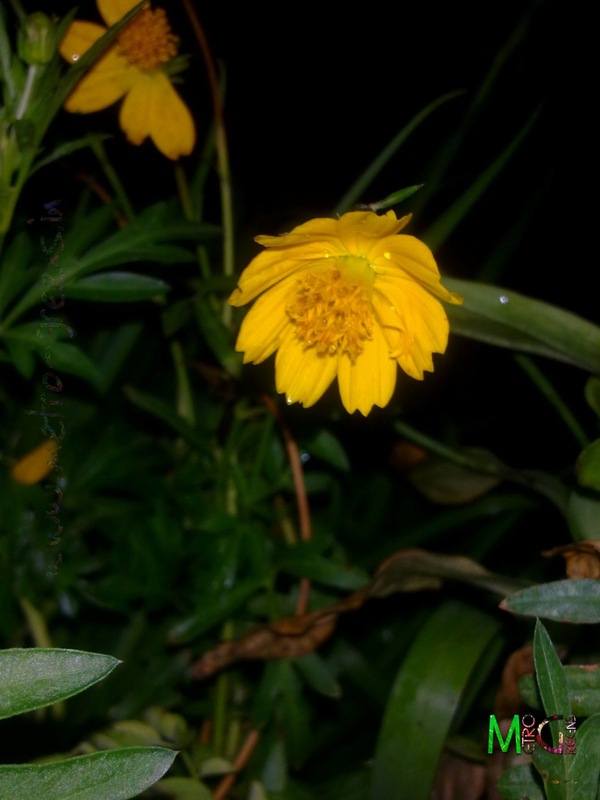 The colours are quite soothing to the eyes, both that of the flowers and that of the foliage (leaves), and are quite attractive, adding a splash of greatly contrasting colours in the otherwise sad and monotoned landscape around our urban dwellings having homes and buildings of brick and mortar. So, I would say that this is something everyone should give a try, atleast once in a lifetime. This is a pretty interesting and mood transforming hobby. I hope this is quite an inspiration for the budding gardener and nature lover in almost all of you. I'll be back with some interesting and inspiring stuff, while you go and arrange some colours to add to your nearby landscape. Till then keep visiting and HAPPY GARDENING!